In 2010 I volunteered for WildCRU’s Hwange Lion Project in Zimbabwe. During this time, I developed a keen interest for wildlife conservation and research. I then went on to complete a BSc in Conservation Ecology at Stellenbosch University in South Africa where my final-year project focussed on African wild dog denning behaviour in the Save Valley Conservancy in eastern Zimbabwe. In 2015 I was awarded a Beit Trust Scholarship to read for a DPhil in Zoology with WildCRU at Oxford University. 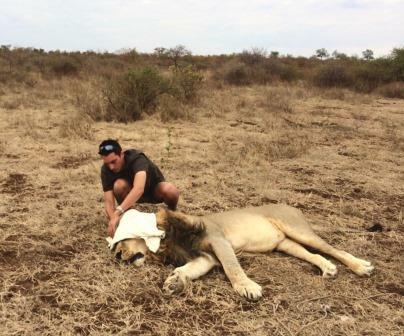 The focus of my project is primarily on African lion behavioural ecology using cutting edge analytical methods and technology.